Hello and Happy Monday! I am writing this post late today because I was hanging out with my husband before he leaves for a long business trip. I am going to miss him but I have a busy week ahead that will hopefully distract me a bit. First, how was your weekend? I hope it was relaxing and fun. 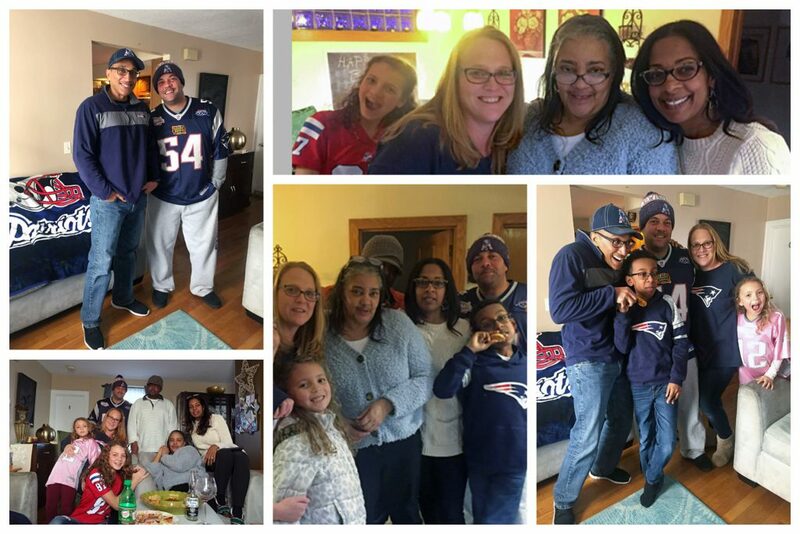 We hosted a group of my family over our house to watch a playoff game. I make myself laugh because for some strange reason, I love trying out new recipes when I have company. Now some might call that cool and adventurous but I think it only adds to the stress factor a little when you want to feed a large group. I can say most of the time, it turns out alright but I do recall some losers. However, this time was a winner and luckily I made a large portion so we could eat throughout the game. 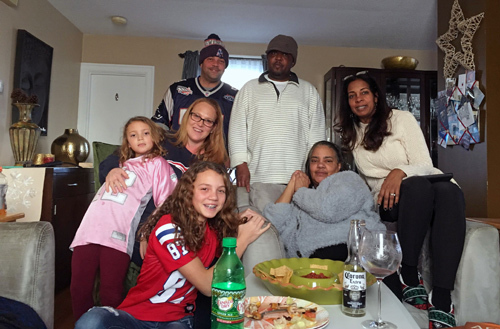 It was really fun to catch up with my family and laugh at our old family memories. Tomorrow I will begin another 21-day cleanse. My last cleanse was in June of last year. I have to admit I have slipped off my clean eating big time. But like the rest of the New Year’s resolution planners, I too made a promise to get my act together. 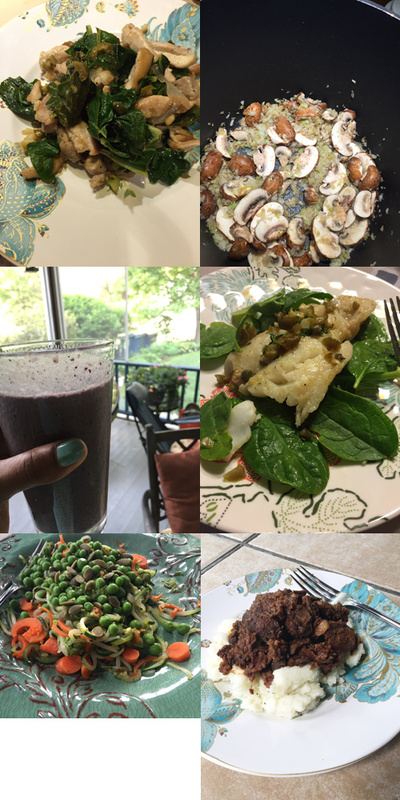 I have been doing cleanses every 6 months for several years and I like to do them to help reset my habits and renew my love of good food. I mean let’s face it, the winter time is pure comfort food, slowing down and indulging in decadent desserts. So it always presents a challenge for me but I am willing to take it one day at a time. 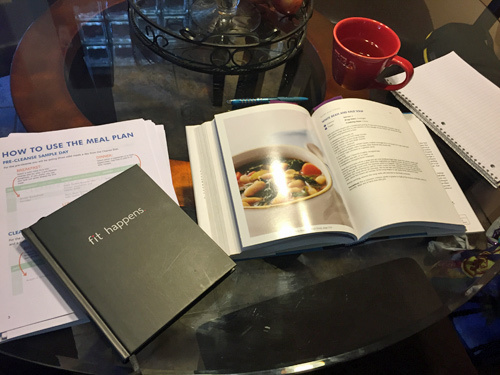 That all said, I started planning what meals I would like to eat throughout the cleanse. I find that my success really relies on me being organized. I plan the week’s meals then shop for them and assign them a day to make. 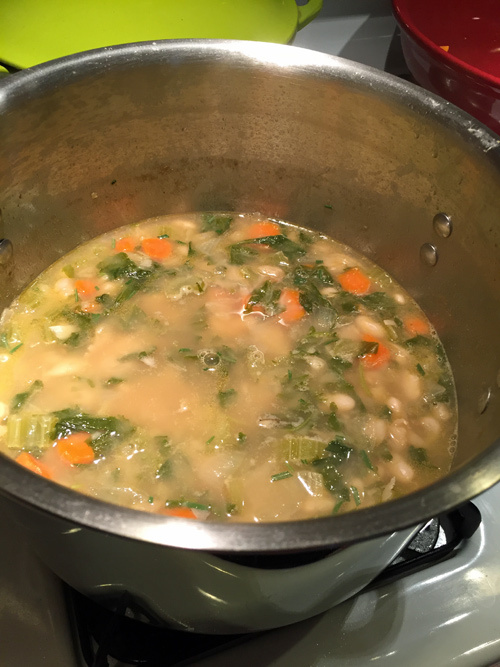 I put in a lot of soups this week. Because they can replace the less than clean comfort food I have been eating since the holidays. I will check in with updates on my status and share recipes so be sure to check back. Well I have to get ready for pick-up but I wish for you a blessed day! Hello Everyone! I have been running around busy with spring cleaning projects, administrative work, preparing for some upcoming home renovations and sticking to my Cleanse. The picture above is me at pick-up trying to soothe my sweet craving with a clean smoothie. It was actually really delicious. As if that isn’t enough, I officially will begin garden clean-up this afternoon. It’s quite a process that takes days to work through but the weather is warming up and I’m am anxious to get out there and work on the first steps in preparation for planting season. It’s too soon for me to plant much so I focus on cleaning up areas, assessing what survived winter and what might need replacing and then plan my flower beds and vegetable gardens. The hard part is that once garden season kicks in, I really abandon my craft table. I am going to look ways to keep a few projects going but I won’t make promises because outdoors is where I like to be. 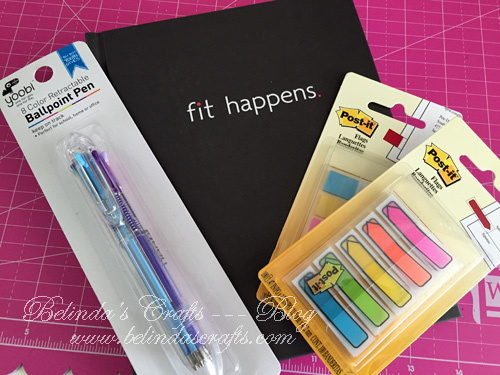 So I may change up my features on this blog during the late spring and summer months. Stay tuned for any announcements. 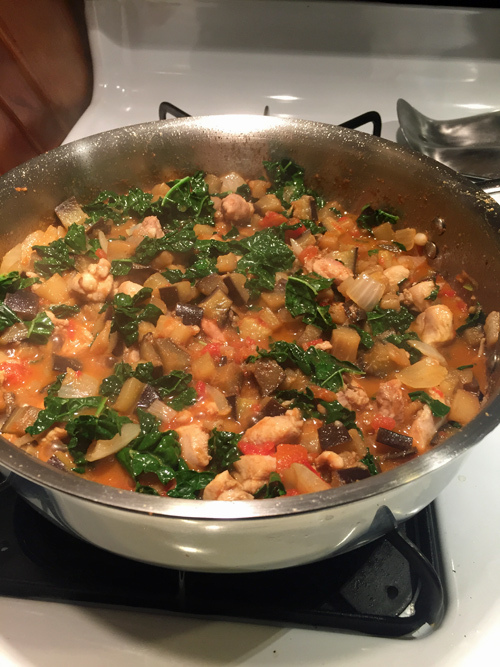 This is a yummy clean dish I made this week, it is Eggplant Curry and it’s delish! I love Whole Foods because it is always an adventure. I feel like I am on holiday at some exotic location because some of the fruits and vegetables I see are so foreign. 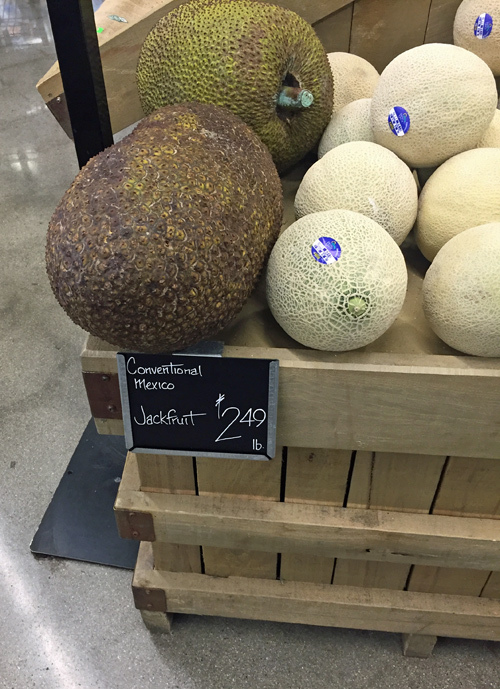 This one I had to take a picture of – Jackfruit. It’s massive. This upcoming week is also spring break for my boys so I will be doing a lot of staycation activities throughout the week. I think Apollo has even started a list (definitely taking after his mom). I will also be catching up on my reading for book club and my personal selections so some reviews will be fast approaching. I am also working on videos for a YouTube channel to talk books that will be included in the Book Nook section of this website. I have been toying with starting a channel for a while and my youngest has been pushing me to do it. So it just might happen once I shake the nerves off. Well have a blessed weekend and I will be back with more soon as I go play in my garden a bit! Well last May, I did my first cleanse and really felt great after completing the 21-day Clean Gut Challenge. 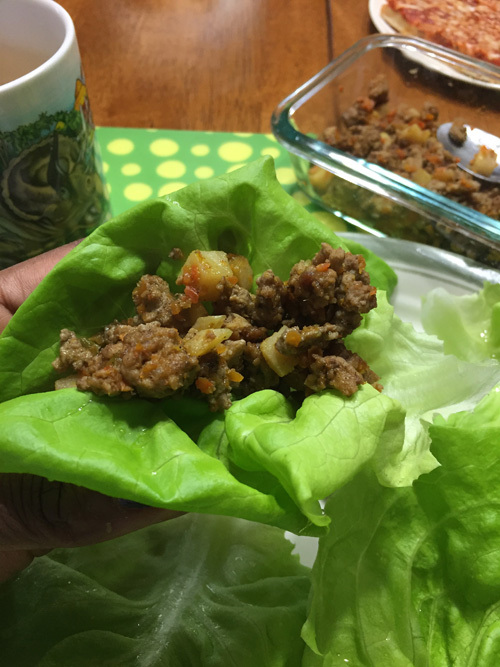 I really enjoyed the new recipes I learned along the way and I liked how I felt. So about a month ago, I decided I wanted to repeat a cleanse every 6 months to make sure I regularly detox my body. So since the last one was in May, November became the next time for me to do it again. I decided I would start November 1st so that I would not have to cry my way through Thanksgiving. So I will complete this cleanse on November 21. I thought I would buy a few new things to get me ready. I love this multicolor pen by Yoobi from Target. It reminds me of a similar type of pens from my childhood. I loved the ability to write with one pen so many colors and this one has even more colors. The page flags are for my reading. I like to use them to mark great quotes or things I want to remember in my books. 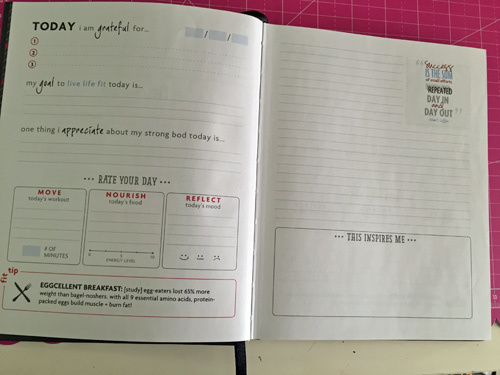 I found this great ‘Fit Happens’ book at TJ Maxx and it is so perfect for me to journal my experience each day as well as track my food and exercise. This cleanse really tries to take a more wholistic approach by not only food but overall wellness. 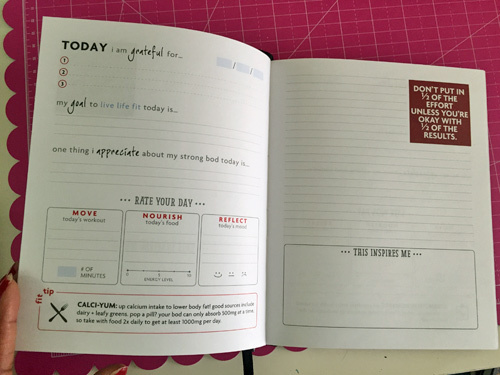 So I like how this book has a place for me to write three things I am grateful for each day. And one of my favorite aspects of the book is the quotes. Each they have the most amazing quotes to help motivate. So today is day one and I had my breakfast smoothie and really enjoyed it. It had two dates in it to add sweetness (something I have never done before) but it tasted really nice and kept me full for quite a long time. I woke up early and after I made my smoothie I started preparing the ingredients for my soup for dinner tonight. I soaked the beans overnight and cut up the vegetables this morning. I tasted it before packing up a serving to go with me to our weekly visit with my in-laws and it tasted really good. Then I started work on my lunch which was an Asian Turkey wrap. Then once this cooked up I could eat them for lunch wrapped in Boston lettuce. I very much enjoyed lunch and look forward to dinner which all I will need to do now is heat it up. 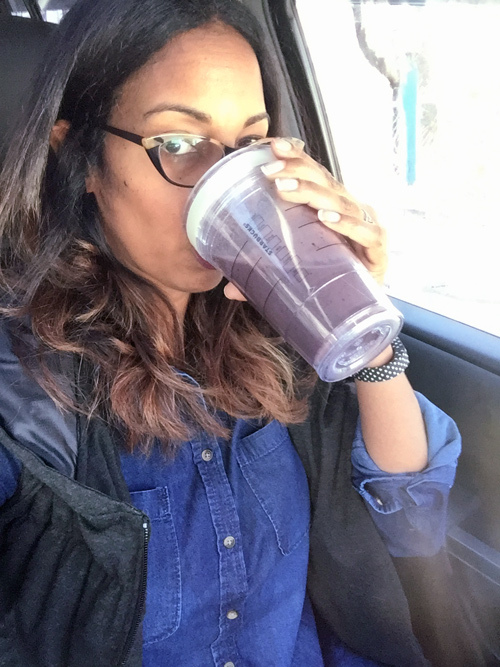 One thing I learned from the from the first cleanse is the importance of planning. So yesterday I took the time to pick my recipes and smoothies for week one. Then I used an application called Evernote to put in my week’s menu. I also created a master grocery list so I could buy all of this week’s foods. I used the Clean cookbook for my dinner recipe for today. I have enough for several leftovers so now I don’t need to cook every night. I also have enough of my lunch meal to last a few days so the only thing I have to make daily is my smoothies. That way I can focus on my family’s meals with ease. 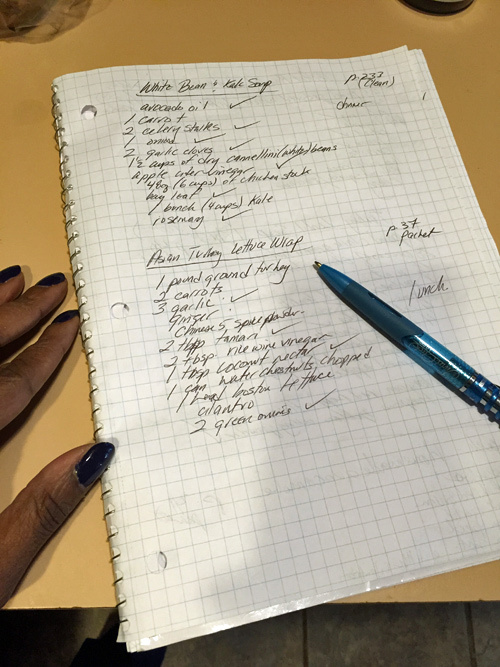 I use a notepad to write out the ingredients needed for each meal I plan to eat and where I can find the directions to make them. Then I go through and check off what I already have before making my master grocery list on my phone. I am ready Week One! I will post from time to time my struggles and progress throughout the three weeks. Happy Clean eating my friends! No, I haven’t fallen off the edge of the earth. I can’t believe how long it has been since I have written a post. This time of year is usually a bit crazy but this year even more so with my oldest getting ready to graduate from elementary school. I feel like I am inside a tornado and occasionally I get peeks out to see the possibilities and then I am swept back inside. I had every intention of posting regularly even if I had to cut back on a few posts but boom… time was not on my side. 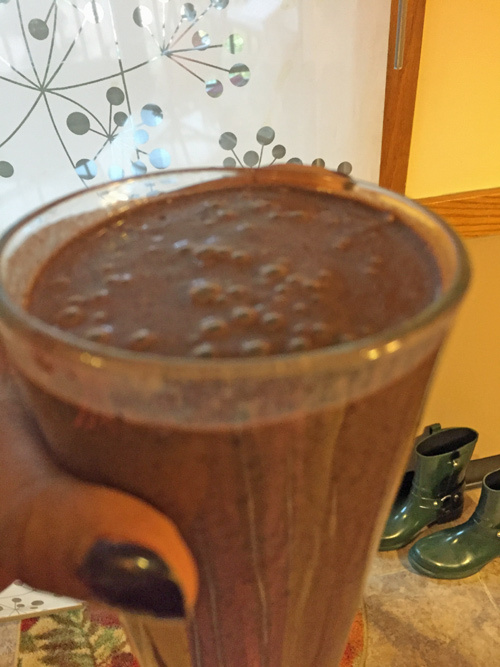 This cleanse by no means was a deprivation diet where I ate crackers and yucky stuff. I had hearty delicious meals that included fish and meat. So I don’t feel like I am missing out on much. 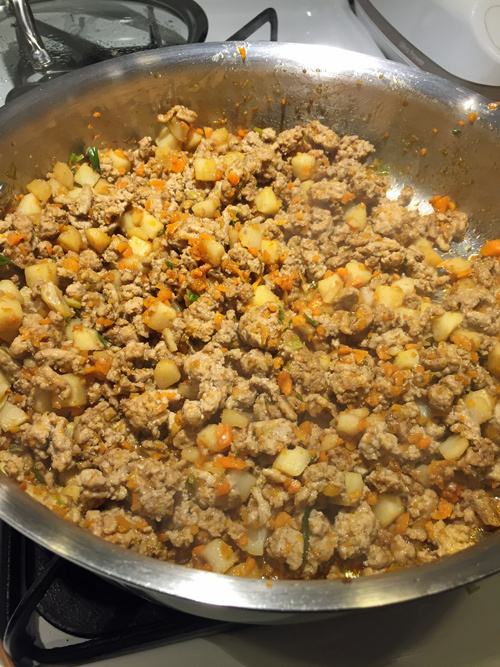 One of my favorite meals was the zucchini noodles with a homemade beef bolognese sauce. I could have eaten this every day. And Apollo loves using my spiralizer to make the noodles for me! One of my favorite snacks was slices of cumber with avocado spread on top with a dash of salt. Pure yummy. After I complete this cleanse, I will slowly reintroduce the trigger foods to help to determine any problems. What a facinating journey that I found daunting as I approached the start date but now reflect and know that this was right for me and will help me to continue on my goal of great health. I will probably resume my normal posting schedule next week, as I try desperately to grab the reins to this extremely active time. I hope that you all are well and hope you have been crafting, reading and finding time with nature now that the weather has warmed.